BARWON HEADS, Australia – Felicity Johnson made a late move up the leaderboard Thursday at the LPGA’s Vic Open to take a two-stroke lead after the opening round. Su Oh of Australia had a hole-in-one and had held the lead for most of the day with Team Canada Young Pro Squad member Anne-Catherine Tanguay, both at 6 under. “I thought my front nine, I came out like pretty hot. I was hitting some solid iron shots. 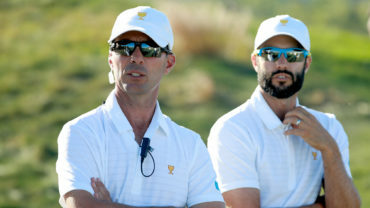 And then I would say the back nine is a little bit more shaky, like the wind picked up and I think I didn’t have as much commitment as on the front, so I didn’t hit perfect, to be honest, but it was enough,” said Tanguay, who recently became an ambassador for RBC. I am excited to be joining Team RBC. 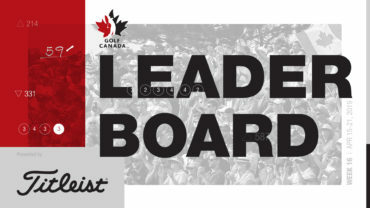 @RBC is a big supporter of Canadian golf and has played a leading role in the support of @GolfCanada ‘s National Teams. The 28-year-old Quebec City native is prepared to take on any challenging weather conditions in the rounds to come. 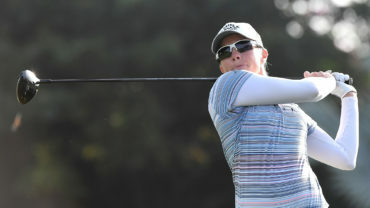 Fellow Canuck Alena Sharp of Hamilton, Ont., carded a 4-under 69 to share 10th place. Canadian Austin Connelly opened with a 2-under 70 to sit T88.